1. 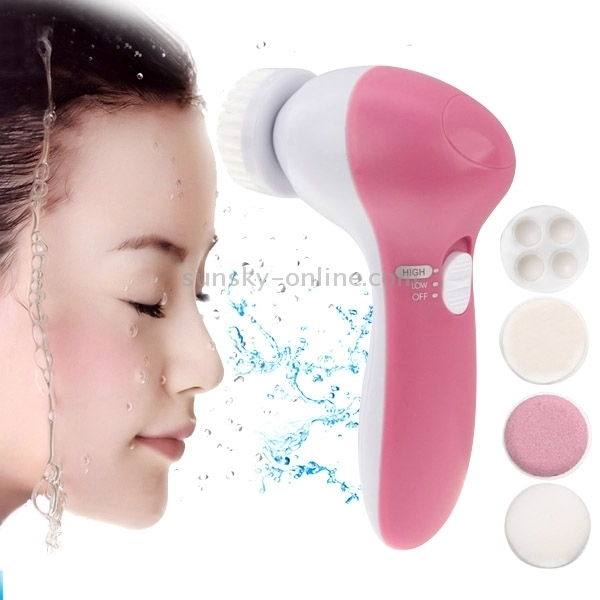 It is a safe and affordable way to clean face, refine skin texture and improve the muscle tone. 3. Only a few minutes, you can have a more healthy, elastic and shinny skin. 4. 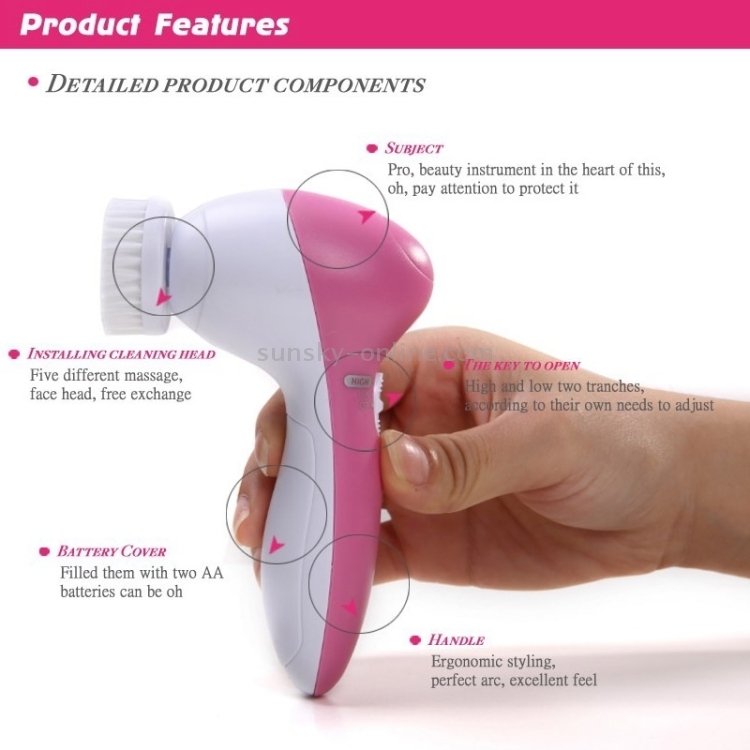 Exfoliating of dead skin cells to reveal a youthful skin. 5. Massage and application of cream to better penetrate the skin and keep it nourished and hydrated. 6. Removing hard cells under elbows. 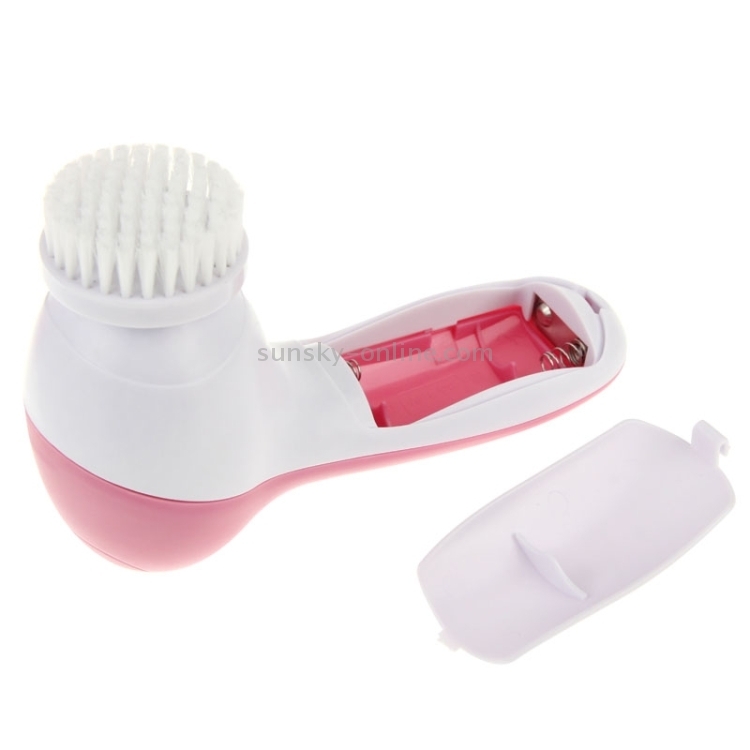 - Crude polish accessory: to rip the tough skin and cutin off. 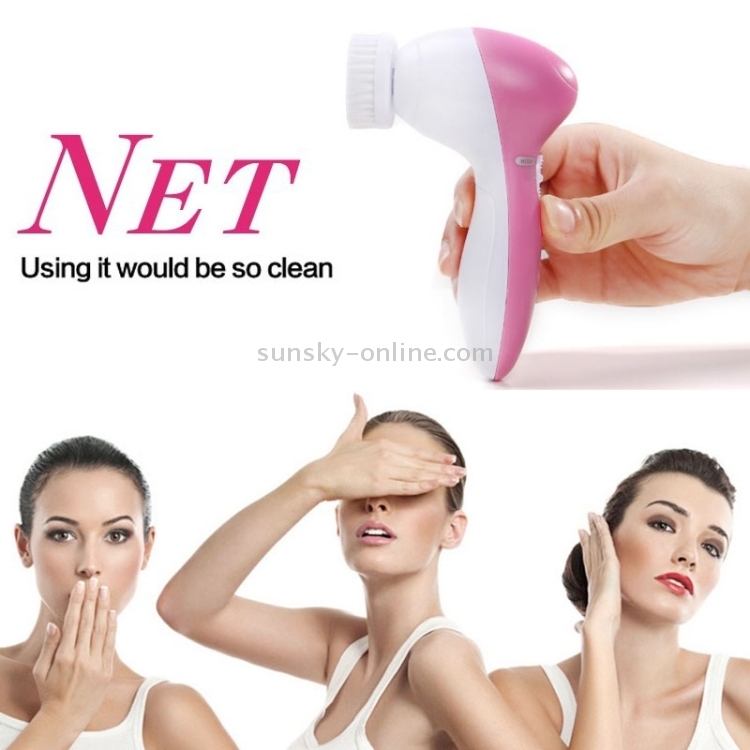 - Latex soft sponge: to cheek massaging. 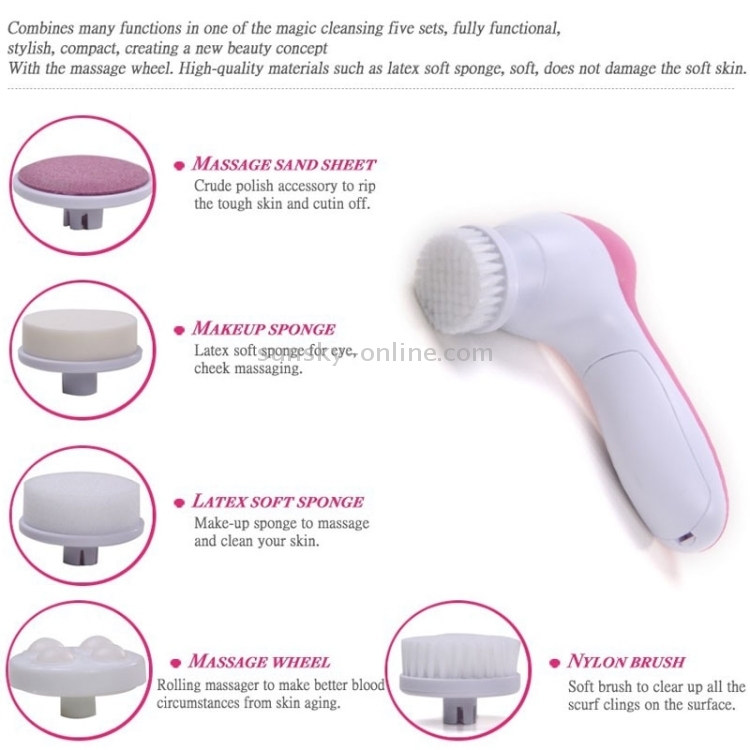 - Make-up sponge: to massage and clean your skin. 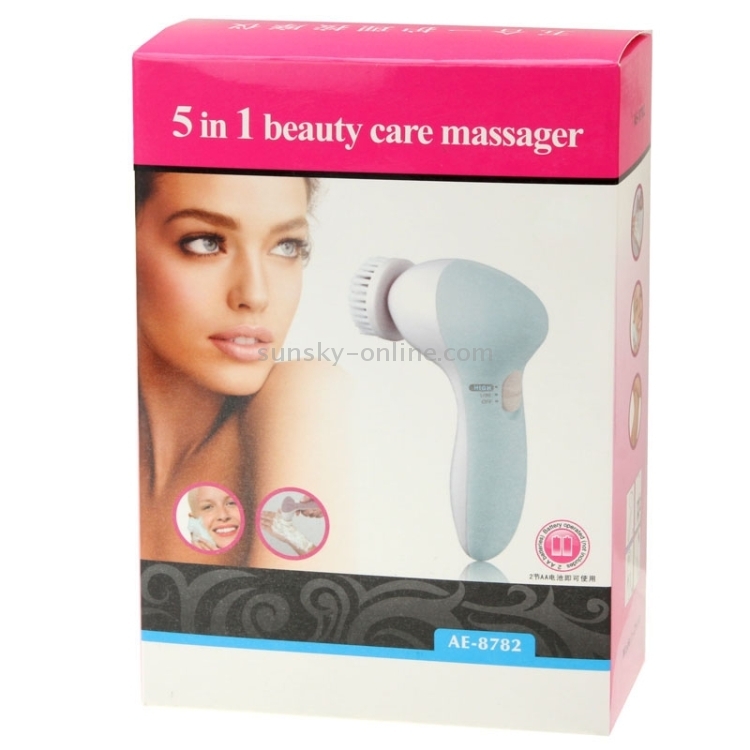 - Rolling massager: to make better blood circumstances from skin aging. - Soft brush: to clear all the scurf clings on the surface.